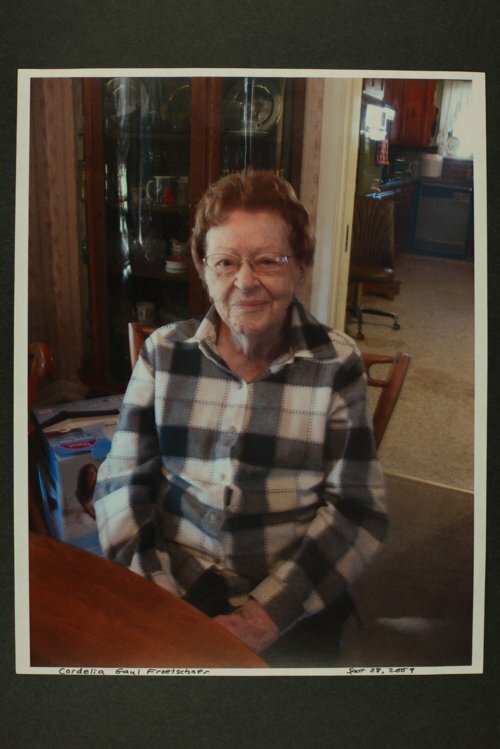 These letters and photographs of Cordelia Froetschner were shared as part of an oral history project entitled "Patchwork of Dependency: The Effects of WWII on Edwards County, Kansas" conducted by the Kinsley Public Library. The project was supported by a Kansas Humanities Council Heritage Grant. Included is a letter from relatives in Germany, family photographs, and a newspaper article from the Edwards County Sentinel detailing Cordelia's yearly making of Pfefferneusse and Schnitzbrot.